Los Angeles • Christian Ramirez scored his first two goals since joining Los Angeles FC in a trade last week, helping the expansion team beat Real Salt Lake 2-0 on Wednesday night. LAFC acquired the high-scoring forward from Minnesota United on Aug. 6. The Garden Grove, Calif., native left as the leading goal-scorer in United’s short history. He has nine goals this season. 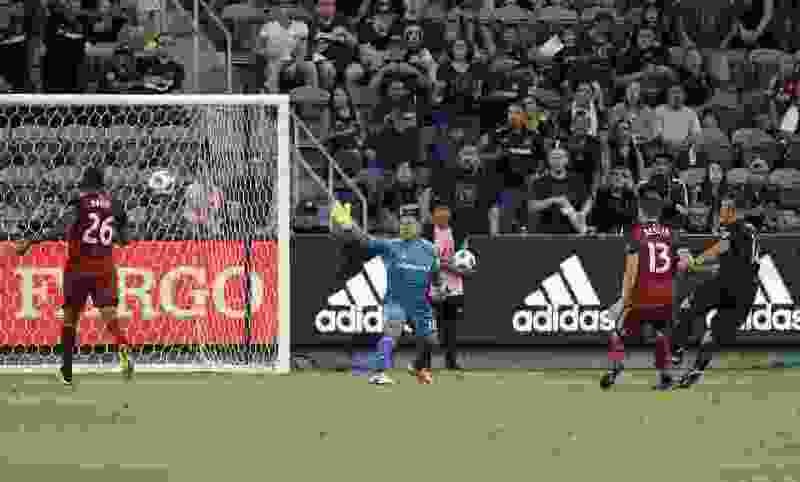 LAFC (11-7-6) ended a five-game winless stretch, including two straight losses. Real Salt Lake (10-10-5) has one win in its past six games, with three ties. In the 13th minute, Ramirez controlled a cross from Carlos Vela with the outside of his foot and sent it past Nick Rimando. Ramirez had an easy left-footed redirection of Eduard Atuesta’s cross in the 30th. RSL changed goalkeepers at halftime, giving 23-year-old Andrew Putna his first MLS minutes. He finished with four saves.